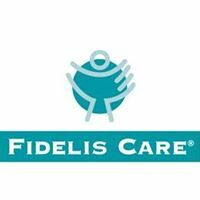 SPONSOR: FIDELIS CARE NEW YORK = provides health insurance coverage through Qualified Health Plans, Child Health Plus, Essential Plan, and Medicaid - available through the NY State of Health Marketplace - as well as through the Medicare Advantage, Dual Advantage, and Managed Long Term Care programs. Come see what FIDELIS CARE NEW YORK can offer you, your business and your employees! Great Networking, a Tasty Breakfast, a 50/50 Raffle & MORE! In order to get the Adv. Registration price you must register before 4:00pm on Oct 31st, otherwise you will be billed the Registration price of $25.00. Please bring a non-perishable food item or trial size personal hygiene item for our local Food Pantry! ALL RECEIPTS WILL BE EMAILED AFTER THE BREAKFAST. Please have your check made out ahead of time. Thank you for the assist. Please RSVP by 4:00 pm on October 31st, 2018. PLEASE BE SURE TO CONFIRM ATTENDANCE BY PHONE, EMAIL OR WEBSITE EVENT SIGN UP! All RSVPs will be invoiced. Thank you in advance for understanding.